MOSCOW -- Russian President Vladimir Putin boasted Thursday (March 1) in his state of the nation address that Russia has developed a new generation of "invincible" weapons, a claim dismissed by defence analysts and observers as far-fetched and politically motivated. 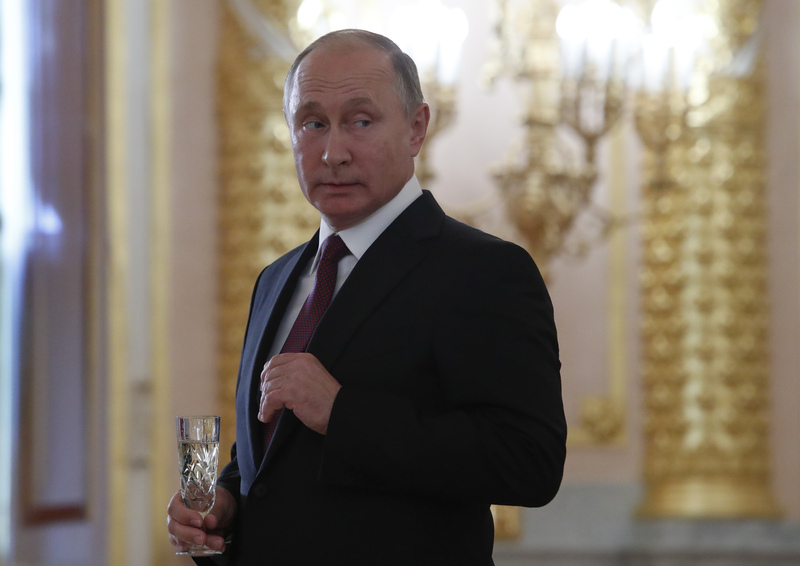 Putin, who is seeking a fourth Kremlin term in an election March 18 -- an election widely deemed as rigged in Putin's favour -- made a series of specious claims about Russia's military might. Putin claimed Russia had built a new hypersonic missile system, the Avangard hypersonic vehicle, that can fly at 20 times the speed of sound and manoeuvre up and down. "This makes it absolutely invincible for any forms of air and missile defence," he said, calling it an "ideal weapon". Russia also has begun the experimental use of a new small air-launched missile system called Kinzhal, or Dagger, that flies at ten times the speed of sound with an unpredictable trajectory towards its target, Putin said. 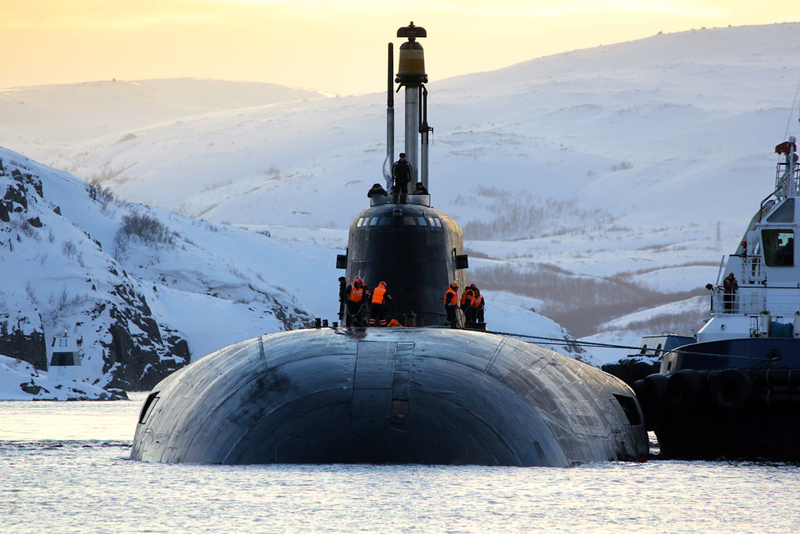 In addition, Russia has developed unmanned underwater devices that move much faster than submarines and torpedoes and can carry nuclear warheads, as well as a nuclear-powered cruise missile, according to Putin. 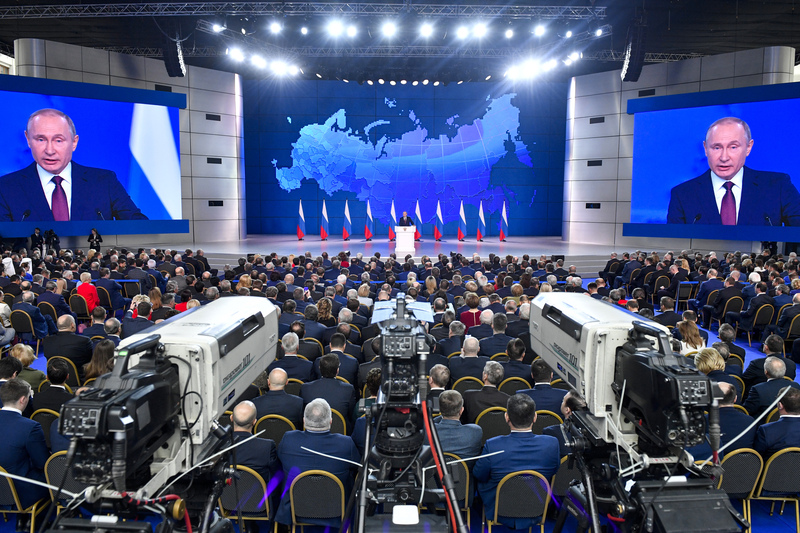 During the speech, Putin displayed a series of video montages of weaponry manoeuvring across mountains and oceans, even crossing the Atlantic. Most of the videos were low-tech images more akin to video games from the 1980s and 1990s. The bellicose rhetoric and high-sounding achievements are mainly aimed at making Putin look "tough" before the election, observers say. Russia's military degenerated to a "woeful state" following the breakup of the Soviet Union in 1991, Putin said. Given that deception lies at the heart of current Russian military doctrine, defence analysts question whether these weapons exist, The New York Times reported. "American officials said that the nuclear cruise missile is not yet operational, despite Mr. Putin's claims, and that it had crashed during testing in the Arctic," it reported March 1. "I think it's silly. I think it's bluster," said Thomas Nichols, professor of national security affairs at the US Naval War College. "This is like a speech right out of the late 1970s, extolling the achievements of nuclear science," he told ThinkProgress. The computer-generated imagery used in the presentation, he said, is "vintage 1980s stuff … that terrain-following stuff. This is what cruise missiles do. That's a 35-year-old technology." The only new "threat" he sees articulated in Putin's speech is to the Russian budget, as developing and testing these weapons -- which seem superfluous given present Russian capabilities -- would be a massive expenditure. "If they're actually trying to build these things, best of luck," he said. According to two commentators consulted by NBC News, one of the videos that Putin used to demonstrate a missile breaking into several warheads was exactly the same as one seen in an old Russian TV documentary reporting on Russia's previous "Satan" missile. "It is clear that the content is identical," said Hany Farid, chairman of the computer science department at Dartmouth College and an image forensics specialist, according to NBC. Readers on the Ekho Moskvy news website, popular in Russia and Central Asia, vented pent-up anger on an article that posted the transcript of Putin's speech and the two-hour video. "During the speech of Russian President Vladimir Putin about the country's new nuclear weapon, he used an 11-year-old computer video," said user fun43. "The frames that showed the separation of the warhead of the Satan ballistic missile were used in the programme 'Strike Force' on Channel 1 September 25, 2007... in the newscast," fun43 said. "It's worse than nauseating -- it makes you want to throw up. For 20 years, he's been lying and stealing. Enough!," user degele wrote. "For 20 years in a crapped-out theatre, we've had a single prima ballerina -- chatterbox. That's the whole show," said user sborisych. "Russians, it's time to wake up from our slumber and send our own message to President Putin!?" user vachek wrote. Putin's speech follows a recent claim by the Kremlin that it does not have a history of interfering in the affairs of other nations, another claim widely ridiculed, particularly among citizens of states directly impacted by Russian meddling. Putin's aggressive rhetoric during his recent speech echoes the warnings from a US government report. Russia has demonstrated its willingness to violate the sovereignty of independent states as it continues to intimidate its neighbours with threatening behaviour, according to the National Security Strategy report released in December. The report detailed a litany of subversive activities that Moscow directs in Central Asia and across the world, including "nuclear posturing and the forward deployment of offensive capabilities". "Through modernised forms of subversive tactics, Russia interferes in the domestic political affairs of countries around the world," the report says. "The combination of Russian ambition and growing military capabilities creates an unstable frontier in Eurasia, where the risk of conflict due to Russian miscalculation is growing." The most important invincible Russian weapons are bad roads and fools. If Russiya will withdraw its troops from Central Asia, Afghans will be left at their own will, they may attack Tajikistan and other neighboring countries, it will bring thousands of victims. I do not support Putin, but I believe in his policy. Russia‘s indifference not only related to Afghans, but to the peace in the region. First, I'd like to thank the author very much for the article and his honesty! You rock, and are a savvy analyst! Second, I totally agree. He showed those animated films and it's all smoke and mirrors. It is an outright lie that they have the best weapons. I am KAZAKH, served in the Soviet army in 1986-88, and I know firsthand the army they have and what kind of warriors they are. Captured German engineers built their MIG and SU aircraft. Russians stole bombers, blueprints for the atomic bomb, and other weapons from the USA. They [Russians] are good for nothing. They stole "Kalashnikov" and copied "UAZ 69" [a four-wheel drive light truck] from the American Willys Truck. They even stole the name of their own country. It looks more like hatred than an article, I think that Russia has a lot of arms and secret weapons that were not made public, Russian scientist were ahead during Soviet Union and they are still ahead. Syria has not taught you anything, has it? That is to be assumed, but not always. And as soon as well-educated [people] started flowing out of the country, going to places where natural resources and raw materials were sold "in bulk" for dollars." And not worn and counterfeit [money] made off-shore and stored in bank vaults, but packing a full punch. However, rational [people] are strolling in Hyde Park, London, even though it is not safe... And the best president today is Putin. "Everyone go vote!" "Kinzhal" [Dagger] will "re-shape" the terrain with its incandescent shock wave (Fire Balls!). Come on! As if Putin gave away some info about military equipment before the election. Yes, of course, but not only because of that. NATO is putting on the pressure. [Those who] studied in MIFI (Moscow Engineering and Physics Institute) [now called the National Research Nuclear University] in the early 1960s remember the tome that people were passing around labeled "Project for an Anti-Nuclear Invisible Aircraft"
... this is "a relic of the past". "The state of the nation address" is being widely "circulated" (FYI, to all the peoples of the world) and being "passed around" at the "current time". The possible deaths of millions across the world through the use of nuclear weapons are a joke to the Russian president. Putin's claims that Russia's newest weapons are "invulnerable" have been widely ridiculed by defence analysts and observers as far-fetched and politically motivated.